A teenager with Asperger's syndrome tries to overcome his own relationship challenges to find a new girlfriend for his depressed brother. There are no feelings in outer space. I saw this film at Noordelijk Filmfestival 2011 (in Leeuwarden, province of Friesland NL). I was a bit reluctant at first to book this film, as I feared some uncomfortable moments where you feel you can't bear to watch any further. But I stand corrected. The first half gives us an insightful view into the lives of people dealing with Asperger, including the problems faced by family and friends. A nice touch were the mnemonic diagrams we saw projected on screen, obviously an internal aid for Simon in deriving someone's mood from his facial expression. Most "normal" people don't need such lists, but requiring such is a genuine characteristic of this syndrome. A lot of humor is interwoven in the script. It offers many moments of relief for us (the audience). That is definitely a positive side of this film. On the other hand, I suspect several things to be simplified too much. People dealing with Asperger syndrome in the real world, may see many flaws and impossibilities, most of which we (as bystanders) are bound to overlook. 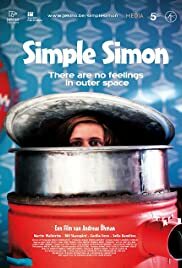 The role of the parents is sketchy but believable, and it is clear that they are at their wits end in dealing with Simon. The only one who can cope with the various difficult situations we witness on screen, is his brother, who can get him back from the imaginary rocket he climbs in when wanting to escape from a situation he cannot deal with. The girl friend of this brother can cope for only a short period, and leaving is the only logical solution for her. But for Simon it is a disastrous move as it breaks down the duty roster with daily household tasks, hence needing a solution forthwith. A considerable part of the film is devoted in finding a new girl friend for this brother, leading to all sorts of hilarious situations, between the lines illustrating how Asperger patients think. We see Simon translating the girl hunt into an algebraic exercise. He takes the good and bad features his brother mentioned about his ex-girl, much too literal when composing a score card to be used when interviewing possible candidates. Later on, his brother shows that opposites attract (beautifully demonstrated with two magnets), and Simon adjusts the search protocol accordingly. I was a bit disappointed with the feel good scenes at the end, where Simon went to a lot of trouble while organizing a romantic dinner for this brother. I truly believe that someone like Simon can think of the necessary preparations to get this off the ground, since planning ahead is Standard Operating Procedure for him. But involving and motivating several helpers he needs, is a bit far-fetched. Even worse, it seems impossible for someone with his handicap to deal with complications and unexpected problems that cannot be avoided with such an undertaking. All in all, the insight it gave us in the minds of people like Simon, is an important feature of this film. In many aspects it does remind us of Jim Parsons aka Dr. Sheldon Cooper and his tendency towards rigorous routines and protocols. On the other hand, I suspect some simplifications about Asperger patients in interaction with their family and friends, and also in his apparent success in organizing the romantic dinner for this brother. I scored a 4 (out of 5) for the audience award when leaving the theater.